Weston is coming for a visit while his parents are on holiday, and Ben is worried. Last time Ben saw Weston, Ben made up lots of stories about his life in Melbourne, and now Weston will find out he wasn’t telling the truth. Ben tries to make his mum change her mind. I remembered everything I had said. The only true thing I’d told Weston was that we lived near Puffing Billy. We can hear its whistle blow from our house. As soon as Weston arrives, he’ll start asking about all the activities Ben bragged about. What will Ben do? Do you think Ben should tell Weston that he made up most of the stories about his life in Melbourne? Reviewed by Rebecca Newman. Our review copy was sent to us by Omnibus Books. Join Sydney Writers’ Festival for School Days 2009! If you love books, reading and creative writing then Sydney Writers’ Festival’s School Days is an event just for you. This is your very own festival of children’s literature, featuring a handpicked line-up of writers for both primary- and secondary-school-aged children. This is a wonderful opportunity to be inspired by, and learn from, your favourite writers in a fun, educational and interactive day. The writers will talk about their craft, read from their work and answer your questions. You also have the chance to meet the writers and have your books signed. 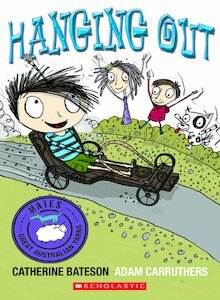 The Primary School Days line-up features some of Australia’s best-loved authors for children, Morris Gleitzman, Tristan Bancks, Danny Katz, Mitch Vane and Catherine Bateson, as well as the UK’s ‘Queen of Tween’, Cathy Cassidy. They will be appearing at Sydney Theatre at Walsh Bay on Monday 18 May, Riverside Theatres in Parramatta on Tuesday 19 May and the Joan Sutherland Performing Arts Centre in Penrith on Wednesday 20 May. 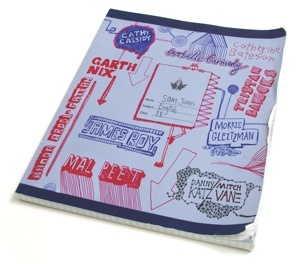 The Secondary School Days program features award-winning UK writer Mal Peet, as well as bestselling Australian authors Isobelle Carmody, Randa Abdel-Fattah, James Roy and Garth Nix. You can catch them at Sydney Theatre at Walsh Bay on Tuesday 19 May, and Riverside Theatres in Parramatta on Wednesday 20 May. Families and school groups are welcome. Make sure you book early to avoid disappointment. For full program details and booking information visit www.swf.org.au/school-days.